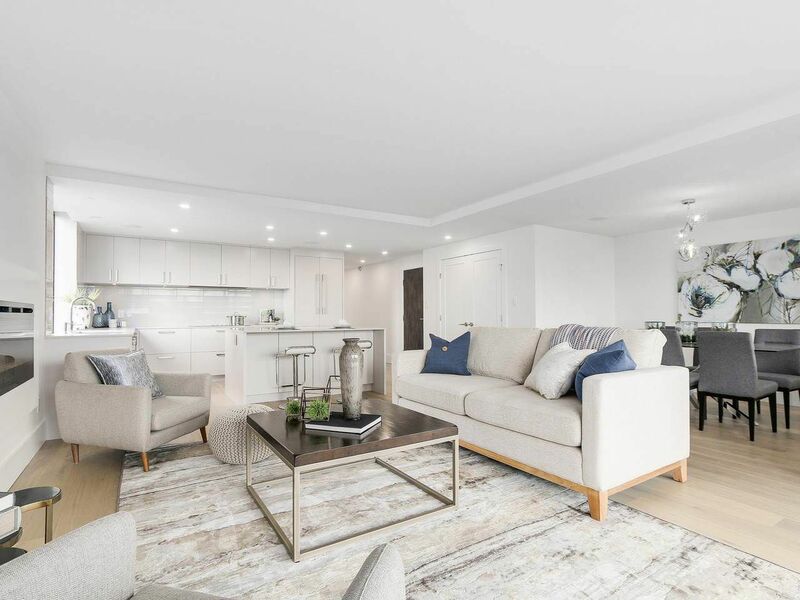 In the heart of Ambleside - a stunning, fully renovated (Apr 2017) 3 bed/2 bath one-level apartment that occupies the entire west side of building. Perfect for downsizers or a young family. Enter into a bright open concept great room with formal dining room, family room and Chef's kitchen w/lots of storage and a huge island. The great room leads to a fully enclosed solarium, perfect for a home office and sitting area and overlooking amazing southern views of the ocean, Lions Gate Bridge & Stanley Park. On the north side of the suite lies the huge master bedroom, with walk in closet and en-suite along with a private reading area. 2 large additional bedrooms, a full size in-suite washer/dryer, 1 storage locker, 2 parking spots. Steps from Ambleside, the Seawall, Park Royal and shops.